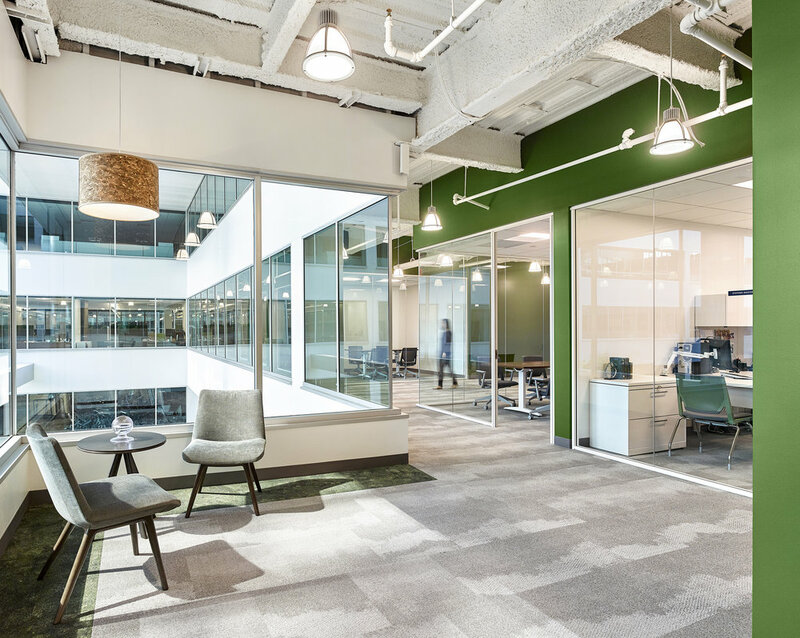 The organizing planning principles focus on the central light filled atrium creating a transparent workplace with strong visual connection between colleagues. Pennoni is a multidisciplinary engineering firm dedicated to client service, to giving back to the community, and to nurturing the entrepreneurial spirit of their employee-owners. Pennoni prides themselves on being an honest, methodical, value driven organization. The architectural elements are structured, cascading, forms taking inspiration from the shape of the building as well as the textural landscaping in the atrium. 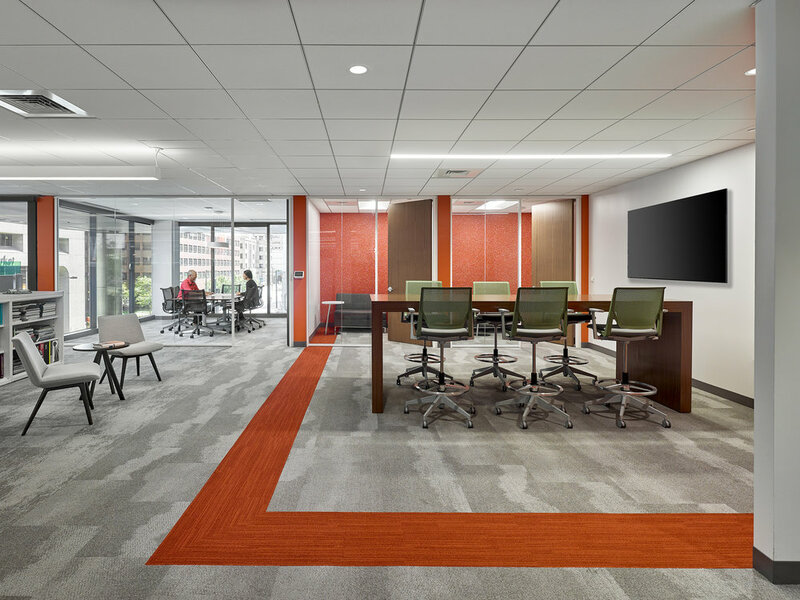 There is a balance of open and exposed ceilings which help define circulation zones, increase volume while providing an acoustical solution in the open office. 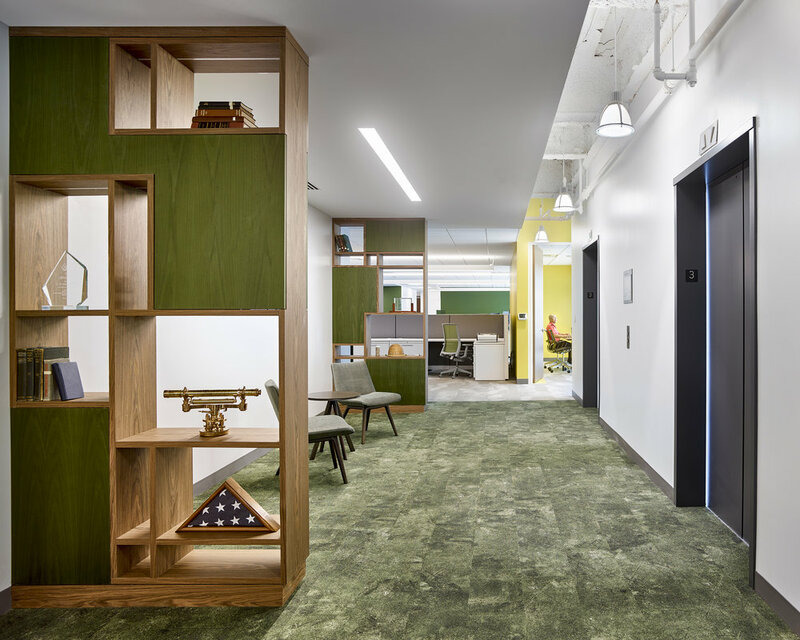 The employee-focused organization added several amenities including a wellness room, a bike room, showers, lockers, and large centrally located hub with terrace views into the atrium. 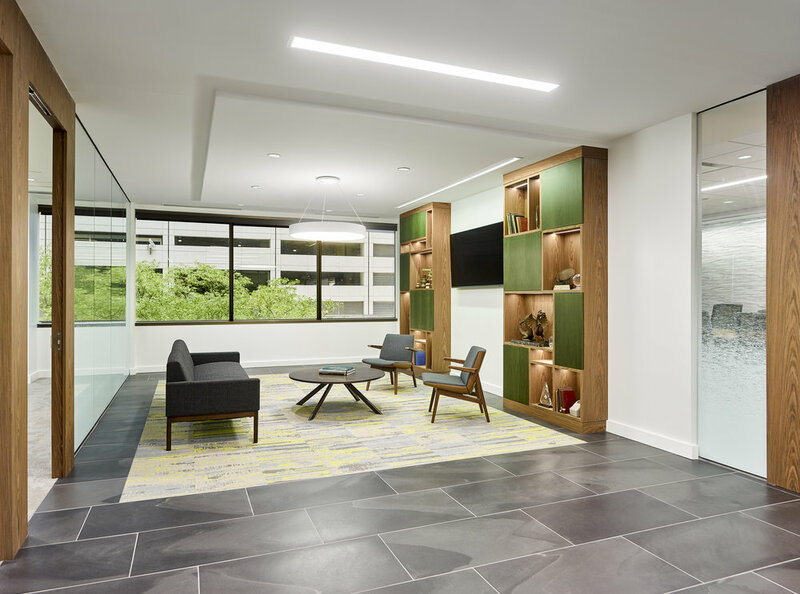 The flexible hub offers a high-end beverage center, a place to dine, supports collaboration with coworkers, and is a welcoming retreat from your individual workspace. The adjacent training rooms have a folding wall that when open can support all firm meetings, presentations, and social events. 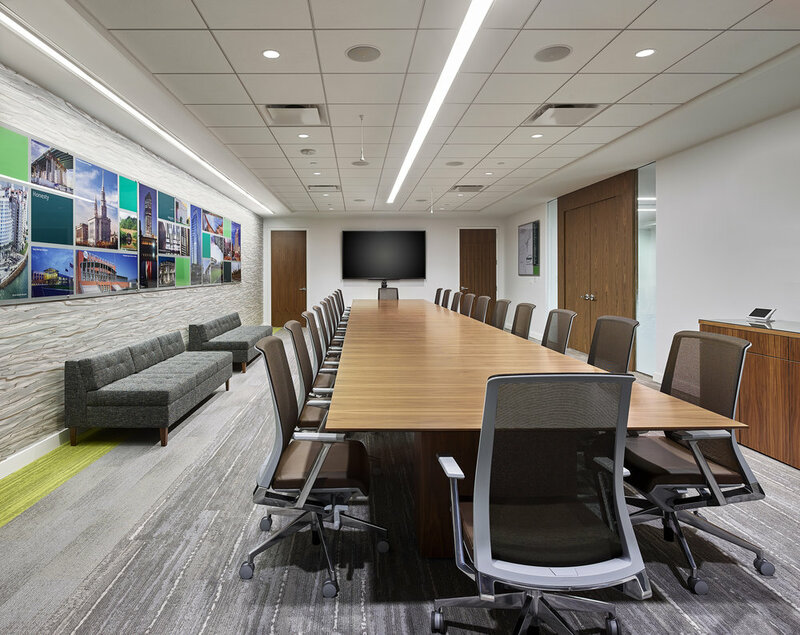 Accessible group meeting areas throughout the space and equipped with state-of-the-art technology to support a variety of workstyles.